One of the biggest surprises of having a child with multiple allergies is how many of our family and friends have risen to the challenge of accommodating our special dietary requirements. Anyone who has had the opportunity to cook for us knows what a pleasure (challenge) it is to serve food that is free from wheat, gluten, dairy, nuts, soy, and corn, among other things. Although I do not expect any special treatment when we go visiting (and I always have something safe to eat hidden in my purse), I am amazed and touched by how many of our family and friends have created recipes of their own that are tailor-made for my Little Bear. This recipe for chocolate cookies is one of my favourites. It was created by one of my sisters when she was combining random ingredients while doing baking projects with my son. 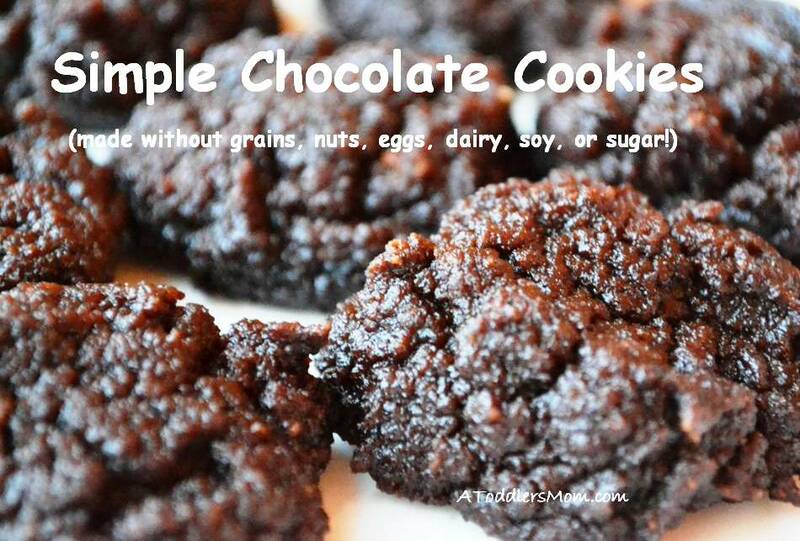 The results of those experiments are these mouth-watering, grain-free, and paleo-friendly chocolate cookies. With a banana base, and a few other simple ingredients, these cookies are not only easy to make, but they are so delicious that they will disappear almost as quickly as they are made. Combine banana and honey in a food processor or blender and mix until smooth. Mix cocoa, baking soda, and coconut flour together in a separate bowl. Combine wet and dry ingredients together. Drop cookie dough by spoonfuls onto a baking pan lined with parchment paper. Flatten cookies with a fork and bake at 350 for 5-10 minutes until they are firm. Enjoy!